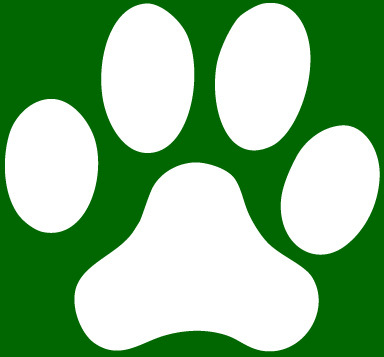 BEST PAW FORWARD was voted #1 for 8 Years in a Row on the WISN Alist! Read what our clients say about their dog training experience with us. We encourage everyone to woof back at us and let us know how we're doing. It was as good as have come to expect from Best Paw Forward. This is why this place continues to be my first suggestion when it comes to dog training!!! We loved both our basic manners and level 2 manners with Best Paw Forward at each location, Hartland and Pewaukee. The instructors were accessible, patient and helpful, modifying exercises as needed. Practical real world applications were given for each skill learned which helps translate what was learned in the classroom into everyday living. We most definitely plan on continuing with Best Paw Forward. We’ve always have been a dog family, but never put much thought into training courses until we recently decided to get a Miniature Dachshund Puppy. Choosing Best Paw Forward came at the recommendation of a friend of ours whom was a past student/customer of yours whom raved upon the results and experience. Signing up was a no-brainer with that recommendation and I also felt confident going into this based on the information I was given prior to beginning the course- though like any puppy owner, I had a few hesitations on just what it was I was getting myself into. That feeling was immediately diminished after the first (Human Only) class. The knowledge and information presented gave me fantastic insight as to what I and our puppy had to look forward to. I was relaxed and excited to begin the next class. The first human and puppy training class was another very pleasing experience, as was the entire run of the course, for both myself and our puppy. The overall atmosphere was casual, informative, and professional with a strong emphasis on positive training methods. Quite honestly, due to the small size of our puppy, I was at first a tad hesitant on the Social Time given the pups during each class, however our instructor and assistant were accommodating to the smaller pups and have had so much experience and knowledge of the socialization aspect that there were zero issues and as each week went on, one could easily see the improving demeanor of each puppy and just how fun and important it was to have these as part of each class session. It was great to see not only our puppy getting bigger, gaining confidence within the social structure and just plain out having fun that soon this social time became a fun time for the humans as well getting to interact with one another and the other puppy’s. As presented, this entire course overall was fantastic. I enjoyed and appreciated how each topic was covered, taught, followed through upon and the encouragement received from our instructor and assistant. When I or our puppy (mostly me) needed some additional input and guidance it was properly covered and assessed. I appreciated the time and personal care offered to each of us as needed. This too was backed up by the weekly Q & A session. Did I as well as our puppy learn and walk away with valuable information and lessons that will improve upon both of our behavior, future training and relationship? You bet! This was a great investment to our puppy and an experience I highly deem valuable in every aspect. I’d strongly recommend this course at Best Paw Forward to any prospective puppy owner. Huge Thanks, Appreciation and Acknowledgment to the instructor and assistant whom presented us with and ran an enjoyable program from start to finish. Your passion shows. And your welcoming friendly attitudes made each week something both I and Augie looked forward too. As such, I’d hope you are part of our next program! Thanks again for a job and program very well done! We have taken both the Basic Manners class and the Level 2 class at Best Paw. The positive change in my dog has been tremendous. The instructors have such great insight into the dog's behaviors and their recommendations of how to handle some of the challenges we have encountered has been spot on. I am thankful for their expertise and knowledge. We will be back for more classes. Both my dog and I loved it. Instructor and assistant did a terrific job. YES!!! This is my 5th Golden and I still learned a lot of new training techniques. With the high energy, genuine care and "Disney Like" commands I believe this team could train my dog to play cards. Well worth the money! We thoroughly enjoyed learning the positive reinforcement training method. It works and it deepened the bond between Sheeba and us. This class was amazing! Howie was so excited to go every week. I also had lots of fun and learned so much. This class made our bond stronger and he listens more closely now. It was always a great way to get some exercise for the dogs during the cold winter months! We loved Agility 1! It was a totally different type of class to take and were completely surprised at how well we did as a team. It left our pup tired every night after class was finished - bonus! Instructors are always so accommodating to all situations. The amount of patience that they have amazes me in every class! Quotes shown here are taken from Final Evaluation forms filled out at the end of each training class. We appreciate and welcome all of your feedback whether verbal or written. We hope that all of your experiences with Best Paw Forward will leave you completely satisfied but if that is not the case, please give us the opportunity to correct any shortcomings. Suggestions are always welcome.